Not Verified | Absolute disgrace. Called to the gate numerous times then stood for 40 mins before even opening the gate, in a tiny cramped space. We have now managed to get through the gate only to have been stuck on a bus outside the gate for half an hour with no information and no apparent sign of moving. Absolute shambles. Not a good end to a fabulous time in Portugal. ✅ Trip Verified | Departure was, as always, a pleasure with all staff - MyWay, check-in, security and emigration, friendly and helpful. Return was totally different. The lift arrived promptly for 5 wheelchair passengers and taken to the terminal. Two people were wheeled though by MyWay staff, and the remaing 3 including a 90 year old lady on her own told "someone will along in a moment for you." After 25 minutes of being trapped in 'no man's land' we managed to attract the attention of an employee who came to rescue us only to find that our case was not on the belt. Then to the Ryanair office where they found our case and brought it to us. In total 1.5 hours after arriving on an on-time flight. Relating this to my Birmingham airport review it would appear there was an 'anti-travel virus' in the air on April 2nd! ✅ Trip Verified | For some strange and inexplicable reason for the recent renovation and expansion it was chosen to greatly enlarge the landside space and leave the airside space as it is, resulting in a largely unused area landside and a small and inadequate departure lounge. First you are ushered upstairs into a cluttered security area where it always seems to be busy. Then there is a division between Schengen and non-Schengen passengers, whereby the Schengen passengers seem to have drawn the short straw. You have to pass through a small, expensive and uninspiring shopping area with one restaurant (the non-Schengen departure lounge is much larger and has much more choice in shops and restaurants). 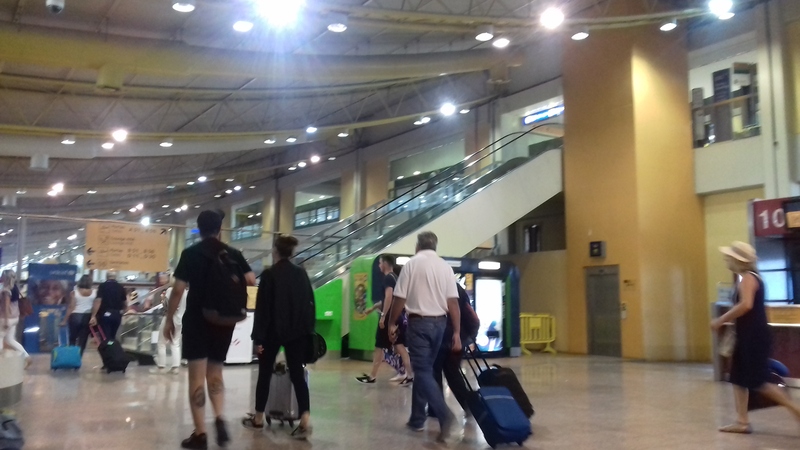 Then down the escalators again into the "old" departure lounge which is quite dark and dingy and does not have any facilities apart from a small coffee bar. Also seating is limited. But you probably will not have a lot of time to spend there anyway due to the time spent at the security check. 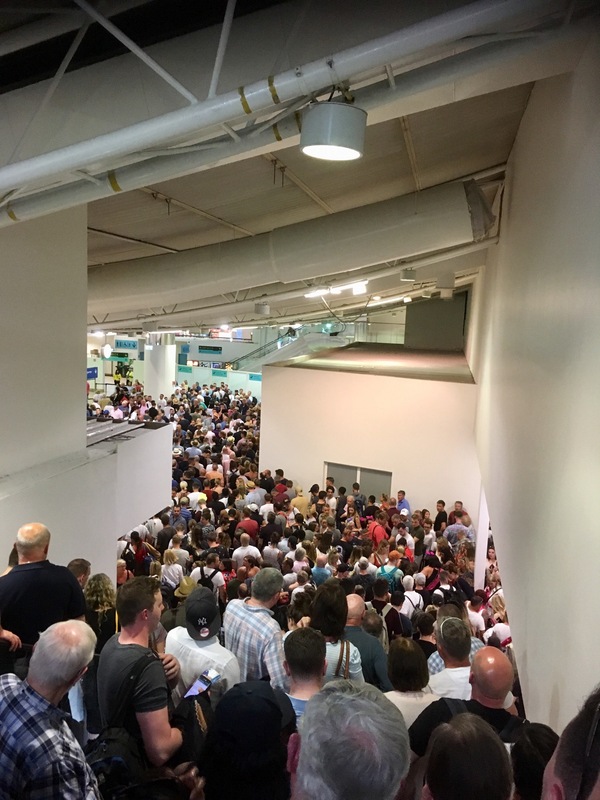 If you are lucky you then need to go upstairs again to your gate, and if boarding via stairs, down again and then up via the stairs into the aircraft. In our case on this occasion we boarded via a bus that would have been written off anywhere else a long time ago. 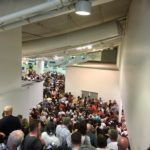 If Faro Airport management is keen to earn more money form it's departing passengers it should rethink it's current set-up and offer all passengers the same level of facilities and a faster and more efficient passenger handling. Not Verified | The toilets on arrivals in Faro airport are absolutely vile. I was gagging and nearly got sick with the smell. Disgusting first impression of such a sought after holiday destination. ✅ Trip Verified | As a mature but responsible sixty eight year old woman and solo traveler, returning to the uk following a holiday to Alberfuria I was subjected to what I felt was an unnecessary security check at Faro airport, I had undergone a total left hip replacement in November and declared this before I went through the security “arch” I was subjected to a consented search by a young lady, who did the usual check then felt around my skirt waistband (which I felt degrading) then asked me to remove my shoes and requested me to raise each foot behind me, she then checked the soles of my feet, having had the surgery only three calendar months prior this could have proved detrimental to my new joint. The lady then looked over my shoes before moving me on. My point is I declared the hip replacement before the “arch” alarm but this did not seem to make the slightest difference in the way that I was assessed. There was not any consideration or questioning on when I had undergone this major surgery, I appreciate that this young lady had requested consent for the intervention but wonder what would have happened if I, a lady of senior years had refused the security check. Not Verified | Not only are they charging 2 Euros for water inside terminal but the vending machine swallows the money and there are no staff or phone numbers to try to get money back. Water, for goodness sake! ✅ Trip Verified | Arrivals and baggage collection fine, no issue at all. Departures a completely different story with the queue to go thru passport control very slow moving, very long stretching into the duty free shop. Reason being only 3 desks open, I cant see how this airport will cope in the busy summer months, way under staffed and even if fully manned there were only 7/8 desks. A massive amount of money spent but not much improvement, still very unclean, expensive and very hot even in November. ✅ Trip Verified | Having arrived at Faro from Gatwick we arrived at passport control in good time. It was not particularly busy and myself and my mother queued and eventually arrived at the automatic passport machines. My mum didn’t realise that she had to remove her passport to proceed. I overheard a Portuguese assistant who was working the queue be very rude and aggressive telling my mother if she didn’t know how to use the machines to not use them and join the manual queue, totally over the top, my mother was hardly there 15 seconds and not holding anybody up. I turned around and asked the lady what the problem was and to repeat what she said. She looked quite surprised, I suspect she thought my mother was travelling alone. She would not repeat herself to me and chose to just ignore me. This was a classic case of ageist bullying. My mother lives in Portugal and regularly travels to England, is this what they want, older people to not use the modern conveniences. These machines are brand new in Faro, my mum successfully uses in UK with no issue or rudeness from staff, in fact at Gatwick they help you, not turf you out of the queue! My review is regarding this one individual not the rest of Faro airport team! 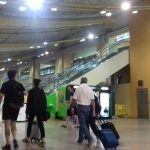 "hope this won't be a regular occurrence"
Not Verified | After travelling to Portugal for many years, usually twice a year I have never witnessed the queues at Faro Airport as I did today. I hope this won't be a regular occurrence as it will stop my wife and myself returning to this lovely country. I know the airport has been revamped, but there is no point having a new airport, and loosing there efficacy. Spent 1hr 20 m queuing for passport control. It just ridiculous. We hadn't even time for airport shopping or a coffee. "staff are invariably cheerful and helpful"
✅ Trip Verified | I feel very lucky to have Faro as my home base since the staff are invariably cheerful and helpful. As a 'special assistance' passenger I am whisked through security and emigration/immigration where, even in these notorious places I get a 'Bom Dia' and am helped with luggage. The only unusual thing now is that we have to go upstairs to check-in at the gate and then downstairs again to get the lift to the aircraft - surely this step could be cut out out to streamline the 'MyWay' staff's duties. Yes food and drink is expensive but no more so than any other airport to which I travel and toilets, in my experience, are always clean and well maintained.